A kid’s life will be incomplete without riding a bike! It is one of the favorite physical activities of children, which also happens to be one of the most fun, especially when it is done with friends! Biking, however, is not always just pure fun. It can also be a risk, especially without wearing the right safety gear. In the rest of this post, we will list down some of the most important gears that every child should have before riding a bike. They are investments that are important as the bike itself. Parents will have complete peace of mind when they know that their little ones are protected. Also, at a young age, this trains children to have the right gear whenever they hop on a bike. This is perhaps the most important protective gear that will be needed by kids when riding a bike. 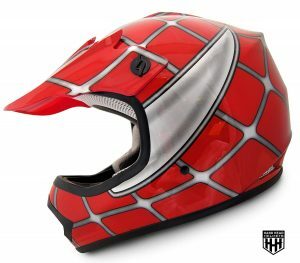 Choose a helmet that will be suitable for a specific application, such as the best dirt bike helmet if the kids will be riding a dirt bike. Not all bike helmets for kids are the same. Among others, they are different because of their materials. The outer shell should be durable enough to withstand impact. A lightweight material is also great, which means that wearing the helmet will not be a burden. The right size of the helmet is also a critical consideration. Otherwise, it will fail to provide the safety needs of the user. Also, when the size is wrong, kids can suffer from discomfort, especially when it is too small for their head. To make the helmet comfortable, it is important to have a decent number of vents on the top. This will provide additional ventilation, which comes in handy during a hot day. The type of the buckle also matters. Some of the most common types include magnetic, pinch, and non-pinch. It must offer several adjustments to customize the fit on the head of the user. Take a look as well at the interior of the helmet. A padded foam will be great, especially in terms of impact absorption. A removable liner is also great to keep in hygienic. Aside from the head, the knee is another part of the body that is heavily prone to accident, especially when kids are just starting to ride a bike. There is only a thin layer of skin and muscle that covers the kneecap, which means that there is minimal protection. It is even thinner among kids, making it more important to provide the necessary protection. 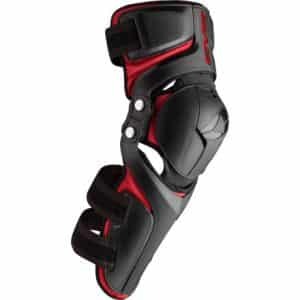 When choosing a kneepad, one of the most important considerations is the flexibility. There are two things that will affect this – material and design. If it is flexible, kids can move with ease when they are biking. When the kneepads are too stiff, there will be limitations in their movement. To add, the kneepads must move along with the child to make it comfortable. 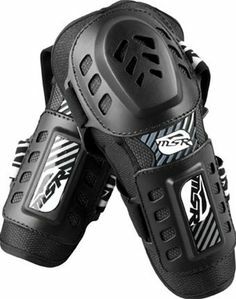 Like the kneepads, the elbow pads will be another great addition for the protective gear of kids who love to bike. The elbows can be prone to scrapes and floor burns, which makesit critical to provide the protection that it needs. From the length to the width, it is important to make sure that the elbow pads will have the right fit. Otherwise, this will result in discomfort. If it is too tight, kids will have a hard time moving their hands. If it is too loose, on the other hand, it might keep on falling off. This may also make it unable to provide the protection that kids need. A lot of parents may also ignore the importance of wearing gloves for the little ones. 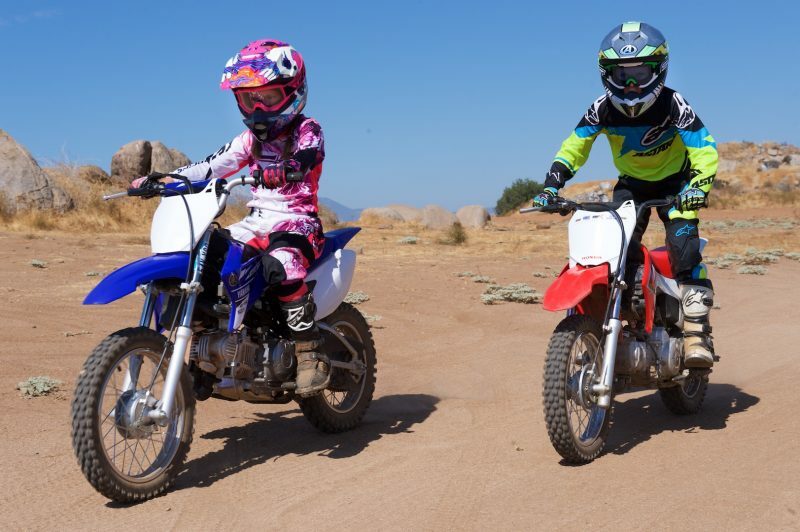 Even if they are just using a balance bike and not a dirt bike, gloves will help to make them practice wearing the right gear from head to toe. Gloves will also be great for keeping their hands warm if in case you live in a place where it is cold. 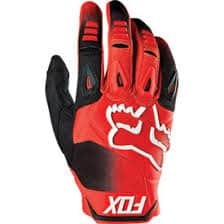 The material is one of the most important things to consider when looking for gloves. A lot of parents have a preference over leather. It is not only fashionable but also durable. It is also soft, which will allow kids to have a strong grip on their bike. It is also important to pay attention to the size of the gloves. It directly impacts their comfort. If it is too small for their hand, they will have a hard time moving their fingers. Kids will also complain if the gloves are too thick and hot, which will make their hand sweat. See to it that it comes with a well-ventilated design to keep them comfortable throughout their ride. 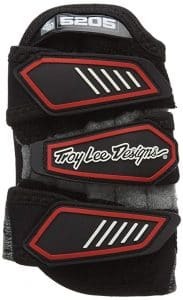 Most of you will probably think that a wrist guard is unnecessary for kids who are riding a bike. Truth is, just like all the safety gears that have been identified above, this is another must-have. It will protect the wrist from injury when it is subjected to pressure. This will especially come handy if they often bike for an extended period. When kids fall off the bike, the normal reaction is to use their hand as support. This prevents their body from reaching the floor first. The problem, however, is that the abrupt force may shock the hand or the wrist. This is where a wrist guard enters the picture. It will help in preventing the wrist from being sprained. Kids may initially resist wearing wrist guards. To make it easy to convince them to have it worn when riding a bike, it will be best to choose one that is printed with attractive designs, such as their favorite cartoon characters. You also have to make sure that it is made of soft and flexible materials. Otherwise, it will be too stiff, and kids will end up complaining of discomfort.